He was gaunt with a slight, scattered mustache. He wore a white shirt buttoned up to the neck and black Bata shoes. At the time when I met him, he was probably in his sixties. 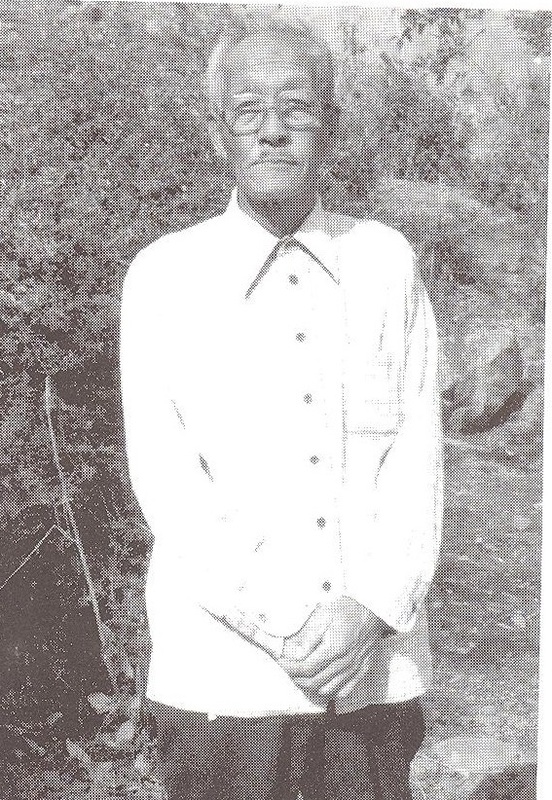 He lived as a refugee in the Tibetan settlement of Bylakuppe in south India. In the mid-1980’s he was in Dharamsala, the headquarters of His Holiness the Dalai Lama, to receive medical treatment. He lodged in a single room below the old Kashag building in the compound of the Central Tibetan Administration. Those who knew him called him Gya Lobsang Tashi. It means Chinese Lobsang Tashi. 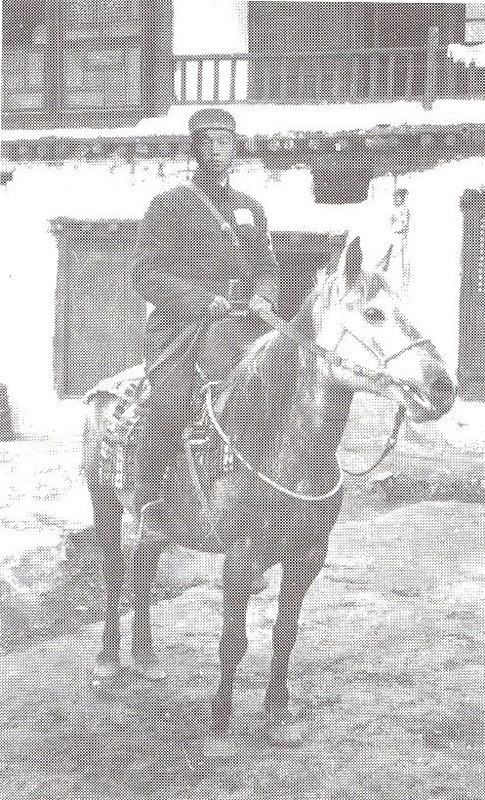 In 1958, Jiang Hao Ting, a colonel in the artillery regiment of the People’s Liberation Army in Lhasa, defected to the Tibetan army. For the ill-equipped Tibetan army, he carried with him some awesome firepower, four rifles with 650 rounds of ammunition. Later, Jiang Hao Ting joined the Tibetan resistance. Adrug Gompo Tashi, the resistance leader, gave him a Tibetan name: Lobsang Tashi. When the armed Tibetan resistance collapsed in Tibet, Gya Lobsang Tashi joined the Tibetan exodus to India. He lived and worked as a Tibetan refugee and married a Tibetan woman. He spoke Tibetan like any Tibetan. Gya Lobsang Tashi died in 1986 in the Tibetan refugee settlement in Bylakuppe. In the foreword to Gya Lobsang Tashi’s biography in Tibetan, Gya Lobsang Tashi and Chushi Gandruk,( Chinese Lobsang Tashi and Tibetan Resistance) His Holiness the Dalai Lama writes, “The late Jiang Hao Ting or Gya Lobsang Tashi was a great friend of Tibet who in 1958 escaped the Chinese military and voluntarily joined the Chushi Gandruk” – the Tibetan resistance. His Holiness the Dalai Lama hoped that his biography would serve as a useful reference tool for later generations of Tibetans. In the ongoing tussle between Tibet and China, Jiang Hao Ting was the first Chinese to side with the Tibetans.Since then the interaction between Tibetans and Chinese has grown. Today it spawns a cottage industry of Sino-Tibetan dialogue conferences, Chinese intellectuals speaking up for Tibet in books and essays, increasing number of young, educated Chinese being attracted to Tibetan Buddhism and a sub-culture of Tibet drifters who are fascinated with Tibetan culture and find Tibet’s vast open space and clean environment uplifting and invigorating. On the overall fate of Tibet, the outcome seems uncertain but in this specific battle Tibet’s soft power is making huge strides in convincing increasing numbers of Chinese scholars and writers to tell the Tibet story to a Chinese audience. Can this interaction be sustained? Will changing the mind of the Chinese people on the issue of Tibet affect Chinese government policy?Will the liberal Chinese intellectuals’ support for His Holiness the Dalai Lama’s peace initiatives and the embrace of Tibetan Buddhism by a growing numbers of young Chinese professionals shape the Party’s policy towards Tibet? This study will examine whether the Tibetan exiles, having won the international community over to their side of the argument, could succeed in winning the Chinese public over to their story. One intense interaction between Tibet and China took place in the mid- 1950s. That was the time His Holiness the Dalai Lama visited China. An aspect of the Tibetan leader little noted by scholars is the extensive contacts he had with the revolutionary leaders who created modern China. His Holiness the Dalai Lama was in China for almost a year from 1954 to 1955. During this period he learnt Chinese and came to understand the ideals of socialism as explained to him by his Chinese hosts. 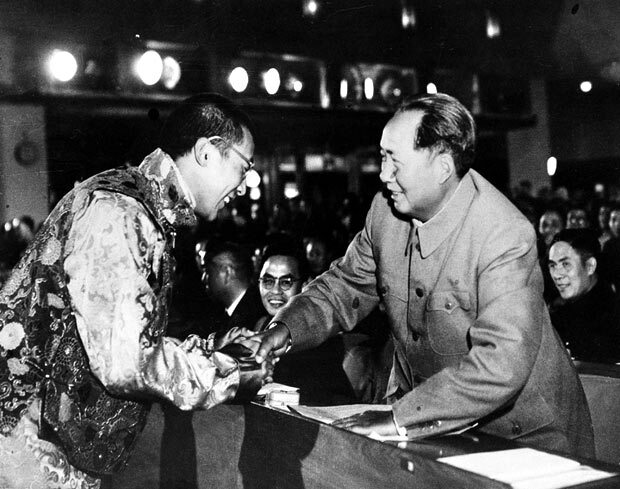 More importantly, the Tibetan spiritual and political leader met with the top echelon of the Chinese communist leadership, including Chairman Mao Zedong, who, according to the Tibetan leader, treated him as a “father would treat a son.” His Chinese hosts took His Holiness the Dalai Lama in a grand tour of new China to bring home to the Tibetan leader the benefits of socialism. He witnessed the effective governance these leaders provided to turn their vast and impoverished country into a modern and egalitarian society. How did the new socialist China affect the views and shape the thinking of His Holiness the Dalai Lama? Did this experience later resurface in his worldview and the governance he provided in exile? At the time for His Holiness the Dalai Lama and for China the world was fresh and new. He was 19, in the prime of youth and open to the new world he saw being re-created in China. For China the period was a fresh start, after a century of humiliation under Western imperialism, enervating warlordism, civil war, Japanese invasion and pervasive and crippling corruption. His Holiness the Dalai Lama visited China at a time when the country’s revolutionary zeal was at its height, when its collective determination to create a just and equal society was unsullied by the ideological madness and physical carnage that followed. It was a time when new China showed the Tibetan leader its better side. A few days later I had a message from Mao Tse-tung to say that he was coming to see me in an hour’s time. When he arrived he said he had merely come to call. Then something made him say that Buddhism was quite a good religion, and Lord Buddha, although he was a prince, had given a good deal of thought to the question of improving the conditions of the people. He also observed that the Goddess Tara was a kind-hearted woman. After a few minutes, he left. I was quite bewildered by these remarks and did not know what to make of them. My final interview with this remarkable man was toward the end of my visit to China. I was at a meeting of the Standing Committee of the National Assembly when I received a message asking me to go to see him at his house. By then, I had been able to complete a tour of the Chinese provinces, and I was able to tell him truthfully that I had been greatly impressed and interested by all the development projects I had seen. Then he started to give me a long lecture about the true form of democracy, and advised me how to become a leader of the people and how to take heed of their suggestions. And then he edged closer to me on his chair and whispered: I understand you very well. But of course, religion is poison. It has two great defects: It undermines the race, and secondly it retards the progress of the country. Tibet and Mongolia have both been poisoned by it. Marx’s dictum that religion was the opiate of the people rode roughshod over whatever personal regard or sensitivity Mao might have had towards Buddhism. Before and during the Cultural Revolution religion was the target of communist wrath. Monasteries were reduced to ruins, temples were destroyed and monks were disrobed. This was an attempt by new China to prevent the fumes of opium from sullying socialism. In Tibet the destruction of Tibetan Buddhism had an overwhelmingly political overtone. There could not be two suns in the same sky. Buddhism must melt under the rays of the socialist sun. Anyone would think this kind of thinking comes entirely from his Buddhist background, from the Buddhist concept of the interdependence of everything. No, His Holiness the Dalai Lama said in 2007 during a visit to Australia. The idea also came from the communist international, from the toiling workers and peasants of the world expressing their solidarity with other suffering workers and peasants. In 1979 His Holiness the Dalai Lama blessed the founding of a Tibetan Communist Party (TCP) in exile started by a group of young educated refugees. He hoped that the Tibetan Communist Party in exile would serve as a bridge to those Tibetans in Tibet who shared the ideas and ideals of a socialist Tibet. But this ideological bridge between the Tibetan exiles and their compatriots in Tibet collapsed when the TCP decided to close its communist shop. But the most far-reaching of the China experience which stayed with His Holiness the Dalai Lama was his ability and willingness to reach to the Chinese people. The need to reach out to the Chinese became especially acute when in the wake of the peaceful uprisings that erupted throughout Tibet in 2008, the Chinese authorities used its awesome media firepower to stoke ethnic hostility between Tibetans and Chinese. The Chinese authorities, as a part of state repression, were literally using the enormous public anger of the Chinese on the hapless minority Tibetans. In view of this, the Tibetan leader found it necessary to go out of his way to explain to Chinese scholars and students the nature of the Tibetan people’s struggle. The Middle-Way Policy does not seek independence for Tibet. It seeks real autonomy under a single administration within the scope of the constitution of the People’s Republic of China. His efforts to reach out to the Chinese paid off. He was able to win the trust and respect of a growing number of Chinese netizens. In fact, there are some Chinese who are amplifying His Holiness the Dalai Lama’s voice in China. Beyond the radar of China’s censors and whispered in the din of China’s Internet chatter are expressions of Chinese support and sympathy. Similarly, in May 2009, Gongmeng, a law firm in Beijing that advocates the rule of law, published a detailed report investigating the causes of Tibetan discontent. It cited China’s policy failure as a major cause. The reported recommended that Beijing in future base its Tibet policy on the aspirations of the Tibetan people. The report, called An Investigative Report into the Social and Economic Causes of the 3.14 Incident in Tibetan Areas, was put in the public domain in April 2009. It was published by Gongmeng Law Reseacrh Center. One burning topic of discussion between Tibetan exiles and the Chinese on the Mainland is the spate of fiery deaths that engulf Tibet today. So far, 146 Tibetans have set themselves on fire since 2009. All of them called for freedom in Tibet and the return of His Holiness the Dalai Lama to his homeland. When informed of these self-immolations, the reaction from the Chinese netizens is one of shock and disbelief. Even when images of self-immolations were sent to them, the sentiment of the majority Chinese netizens is, this can’t be happening in China. These are some of the sentiments of support and sympathy whispered beyond the radar of China’s censor and below the din of China’s Internet chatter. Despite these expression of sympathy and the growing appeal of His Holiness the Dalai Lama’s message of reconciliation to young Chinese both within and outside China, official Chinese view of the Tibetan leader is well known. Successive party officials have called the Tibetan leader a “wolf in monk’s robes” or “a devil with a human face, but with a heart of a beast.” On the other hand, the Chinese Communist Party assumes the exalted status of being the “real Buddha” to the Tibetan people, and on this account it has a couple of times declared Lhasa, the capital of Tibet, the “happiest city” in China. Since no survey has been done, we don’t know whether the ordinary Chinese buy their government’s argument about the Tibetan spiritual leader, or the situation on the ground in Tibet. The consensus is that the vast majority of Chinese do not question the party’s views of His Holiness the Dalai Lama, nor the conditions prevailing on the plateau. The cost of maintaining stability might be truly high but the authorities want to make it higher. Several years ago, the authorities allowed Chinese scholars to engage in an open debate about changing policy towards the minorities. In the wake of the peaceful protests that erupted throughout Tibet in 2008 and the violence that shook Xinjiang in 2009, Chinese scholars worried about the fragmentation of China along ethnic lines. They recommended tighter restrictions on minorities. Party scholars and some officials advocated a policy of doing away with the minorities and suggested their “fusion” with the dominant Han majority. Why did the Chinese authorities allow this open, public debate on China’s minority policy? Was the party gauging public opinion before launching into a hardline minority policy? Whatever it is, the majority view of Chinese intellectuals on the party’s current minority policy is that it is a major failure. The public outburst of such sentiments have been prompted by the 2008 protests that swept Tibet and the 2009 violence in Urumqi in Xinjiang in China’s far west. The 2013 suicide attack in the centre of Beijing, the kniving to death of 29 bystanders while injuring 130 others at the Kunming railway station and the recent spate of violence in Xinjiang during and after President Xi Jinping’s visit to the region make these scholars fret over the cohesion of the Chinese state. This concern over the continued cohesion of China compels scholars to recommend policy options that would do away with separate identities for the minorities. The various strands of thinking of some of China’s respected scholars and top officials dealing with minority issues on how to make adjustment to minority policy in order to strengthen national cohesion have been compiled and analysed by James Leibold in his concise and comprehensive study, Ethnic Policy in China: Is Reform Inevitable? Chinese thinking on a new minority policy could be categorised into the following: thinking of establishment scholars and officials, ultra-nationalists, liberals and the party establishment. The common strand on how China should treat its minorities is the spectre of the break-up of Yugoslavia and the implosion of the Soviet Union. To avoid such a fate, rather than expanding autonomy and minority freedom, scholars and officials alike recommend curtailing autonomy and doing away with preferential treatment to minorities who are considered too “pampered” under the current dispensation. Leading the charge in “correcting” China’s minority policy are Ma Rong, director and dean of sociology of Peking University, Hu Angang, director of the Institute for Contemporary China Studies at Tsinghua University and Zhu Weiqun, once the executive director of the United Front Work Department, the party’s top office that supervises minority policy. They recommend minority distinctions should be done away with and the minorities fused in the “melting pot” of Chineseness. They cite the melting-pot models of America, India and Brazil as roaring successes. Some want to go further. General Liu Yazhou, a son-in-law of the late Chinese president Li Xiannian, and the political commissar of the People’s Liberation Army’s National Defense University, recommends the breaking up of the Tibet Autonomous Region and Xinjiang into smaller units and encouraging more migration of Chinese settlers to these regions to cement Beijing’s rule. In face of such an onslaught, how do the Chinese liberals view the issue? According to Leibold, the Chinese liberals are on retreat. Or, more to the point, they are in jail. Chinese liberals’ earlier talk of granting self-determination to the minorities finds no place in Charter 08, the document that articulates the highest aspirations of a section of Chinese society on how they want their country to evolve. 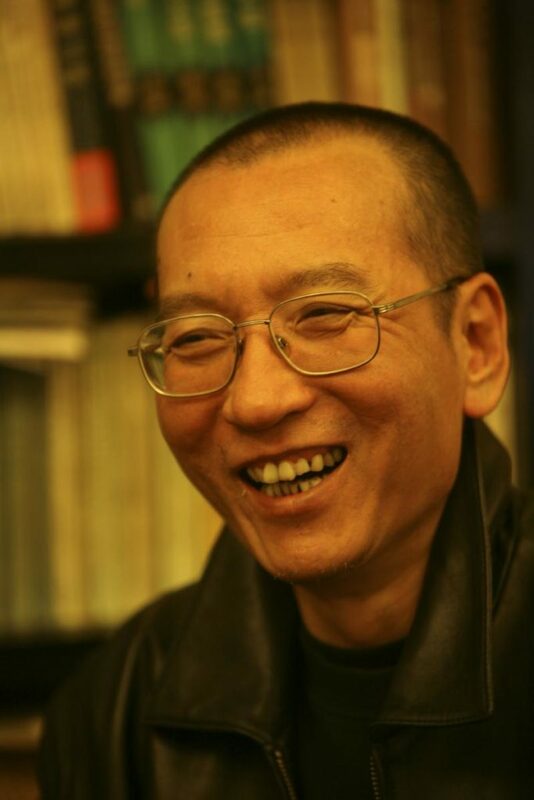 According to Leibold, Liu Xiaobo’s (the jailed Nobel laureate) argument is that democratization for the whole of China is a pre-condition for any solution to the issue of Tibet. But that is something furthest from the mind of policy-makers who shape minority policy. Missing from Leibold’s analysis is other voices in the Chinese establishment that suggest a different way of dealing, if not with the minorities, but with His Holiness the Dalai Lama. Jin Wei of the central party school in Beijing recommends that China invite His Holiness the Dalai Lama to Hong Kong or even to Tibet to secure his co-operation in deciding his successor. Missing too from the whole spectrum of China’s clamorous discourse on changes to its minority policy is the voices of the minorities themselves. In what some scholars call the second generation of minority policy there is not even a hint of consulting the minorities on their future status in the country. The consensus is that the minorities need not be told that they are not what they say they are. If these dangerous policy recommendations are carried out, China will be igniting a bigger conflagration than the scattered fires China is busy trying to put off in Tibet and Xinjiang. The melting-pot system works in America, India and Brazil precisely because these are robust democracies with long-established consultative political cultures. Tibetans, Uighurs and Mongolians are struggling to survive as distinct ethnic identities because even under China’s current minority policy they have been left out of the decision-making process. Within the party establishment one of the loudest supporters of minorities’ “fusion” with the majority Hans is Zhu Weiqun, formerly of the United Front and the principal counterpart to Lodi Gyari and Kelsang Gyaltsen, the special envoy and envoy of His Holiness the Dalai Lama when they engaged in extensive discussions on Tibet between 2002 to 2010. Zhu Weiqun’s is the loudest voice in China’s anti-splittism bureaucracy. He supports “ethnic fusion” and “melting pot” for the minorities. Instead of reducing tension by working towards loosening restrictions on minorities, China’s anti-splittism bureaucracy wants the authorities to put the minorities under tighter control. What is the reason? The reason was explained by a Chinese participant from Canada at the international Sino-Tibetan conference held in Geneva in August 2009. He said that the biggest stumbling block to any resolution of the Tibet issue is the network of organs in the party, government and army that constitute China’s vast anti-splittism bureaucracy. He said China’s current “anti-splittism rampage gives career and livelihood to about 400,000 cadres involved in the campaign. If the dialogue between Dharamsala and Beijing succeeds, these people will be out of jobs the next day. The speaker said this bureaucratic grip on policy-makers in Beijing is the real reason why there is no positive response from Beijing to Dharamsala’s overtures and fresh ideas. Inspite of the enormous strides Tibetans have made in reaching out to the Chinese and because of Beijing’s hardline attitude to any mutually beneficial resolution to the issue of Tibet, one comes to the conclusion that no struggle in the world is as unequal as the one between Tibet and China. China is the world’s second largest economy and, according to economists, set to eclipse that of America’s in the coming two decades. Its military is the largest in the world. On top of this, Beijing’s position in Tibet is unassailable, reinforced by a network of all-weather roads, airports and an expanding railway line that are integrating the world’s highest, largest and remotest plateau more closely to the mainland. Viewed from this perspective, some commentators believe the Tibetan people’s struggle for greater freedom in Tibet as punching above their weight. These commentators liken the worldwide Tibet movement for restoration of human rights in Tibet as beating a dead yak to life. Chinese officials put it more succinctly. They call the Tibetan exiles’ international efforts as “a fly flapping its wings against the king of mountains.”Given the skyrocketing asymmetry between Tibetans and China in terms of power, political, military and economic, it comes as no surprise that these observers view Tibet as a lost cause. But in one area Tibetans have scored a significant victory over China. In the war of words between Dharamsala and Beijing that has simmered and flared for more than six decades Tibetans have won the argument, if not the war, of what is the issue of Tibet. The argument is about both the nature of the old Tibetan society and Chinese rule in Tibet. Official China’s argument is that old Tibet was a feudal serfdom, a minority of serf-owners oppressing the majority serfs. China’s invasion of Tibet was a ‘liberation’, bringing freedom, happiness and development to the backward Tibetans steeped in feudal superstition. Chinese authorities say their policies in Tibet have made it enjoy the highest GDP growth in the country and the Tibetans masters of their own affairs. The Tibetan argument is that Tibet was an independent nation before the Chinese invasion of the country in 1950. Tibetans view Chinese rule in Tibet as an occupation and its policies directed towards economic marginalization, cultural assimilation, social exclusion and ethnic swamping of the country by the majority Han population. Tibetans decry China’s destruction of Tibet’s Buddhist civilization. How a handful of Tibetan refugees won the argument in the court of international public opinion is a story of tenacity and an inexhaustible supply of optimism. The beginning of this story was less than hopeful and mired in mistaken identity. Though His Holiness the Dalai Lama’s dramatic escape across the Himalayas in 1959 became the story of the year, the international media which rushed to Tezpur in north-eastern India to cover the story did not know who the 14th Dalai Lama was. A Reuters’ photographer snapped a picture of a gorgeously attired lama and sent it to London as the first photo of His Holiness the Dalai Lama since his safe arrival on Indian soil. The Reuters’ head office in London shot back, “Your Dalai Lama has a beard. The real one doesn’t!,” or words to this effect. No struggle could say it set off on an auspicious start when the leader of that struggle who is the pontiff of the Buddhist church was barely recognized by the international media. This lack of recognition was confounded by the challenge of surviving in the modern world where for the Tibetan refugees everything was strange and new, except the sky and earth. Given China’s enormous media reach and now with consequential economic clout, how a group of non-entities from a remote and inconsequential land, albeit exotic, managed to grab the attention of the world and hold it for so long is the story of Tibet in exile. In telling its story to the world, Tibet in exile weaved all the elements of its Buddhist civilization into a compelling narrative that has spawned a global industry in Tibetan Buddhism, culture and history. Brand Tibet is a global brand, comparable in its appeal if not in its influence with China’s economic juggernaut rolling across the planet. Contrary to the forces that have sparked China’s economic miracle based on interests and profit, Brand Tibet’s appeal is the message of ancient Tibet based on the values of non-violence and compassion and, in a world increasingly facing dwindling resources, the message of living within one’s means. There are plenty of books that cover the spread of Tibetan Buddhism in the West, Latin America and South-east Asia. Many writers have followed His Holiness the Dalai Lama in his worldwide campaign trail for greater freedoms in Tibet. But these works fail to fully explore one element of His Holiness the Dalai Lama’s and the Tibetan exiles’ efforts. The issue largely ignored in the face-off between Tibet and China is the attitude of Chinese scholars to the question of Tibet and the increasing embrace of Tibetan Buddhism by young Chinese professionals. This interaction might or might not be a tipping point for Tibet but has the potential of shaping Chinese view of Tibetan culture in a much more positive light. As mentioned before, Chinese intellectuals’ view of the issue of Tibet is reflected in such reports as the Gongmeng Tibet report of 2009 and the Twelve Suggestions for Dealing with the Tibetan Situation, a 2008 open letter to the Chinese authorities in 2008 signed by hundreds of Chinese scholars and writers, including the Nobel laureate Liu Xiaobo. Facilitated by Wang Lixiong, the Beijing-based Chinese scholar, His Holiness the Dalai Lama joined two separate discussions with Chinese netizens in May and August in 2010, answering questions on his successor, his approach to resolving the issue of Tibet, the nature of autonomy for Tibet, whether Tibetans would stick to non-violence after his demise and relations between Tibetans and Chinese. One of these discussions had 1,543 Chinese participants from the mainland who submitted 326 questions. Chinese netizens voted for the final ten questions, which were then answered by the Tibetan leader. I always tell the same thing to Tibetans. And I want to mention here that even though our consistent stand of middle-way policy based on the foundation of non-violence has not yielded tangible result through dialogue with the Chinese government, it has helped us in getting strong support from Chinese intellectuals, students and those who are interested in and aware of the reality. This is the result of my efforts. It is difficult to deal with the Chinese government, but I think despite our inability to maintain extensive contacts with the Chinese intellectuals and public, our stand will win their support and it will continue to grow. It was some months after the Tiananmen event, I met some Chinese friends at Harvard University as I happened to be at that time in the US. After I explained to them our position, they said the entire Chinese people would support the stand of the Dalai Lama if they know about it. The thing is, these sorts of communications and dialogues with the Dalai Lama have always been severely hindered. After using Twitter, I have been wondering if we can do it with Twitter. But if it’s like this… I have personally met the Dalai Lama several times. Of course, I know how difficult each meeting was. It needed lots of arrangements; his time was limited and a lot of time was wasted with interpretation. Actually, it was hard to set up even one meeting. And we had very little interaction. But now we have the internet which can break through the limitations of time and space. Then why can’t we use it? The Dalai Lama himself particularly wants Han Chinese intellectuals and ordinary people to really understand his opinions. What, ultimately, is his attitude towards independence? What are his thoughts about the future of Tibet? As for ordinary Han intellectuals and common people – they know almost nothing about the Dalai Lama – and certainly want to know what he’s all about. So in May, 2010, I met the Dalai Lama in New York and had my first face to face dialogue with him. But it was different from before. First I told my Twitter – mates about the idea – to put questions to the Dalai Lama together. At the very same time, we found a tool – “Moderator,” a software program for moderating, made by Google. Now we also use this software – so that netizens in China can use it to ask questions. Anyone can ask his or her questions – and others can express their attitudes towards it – “agree”, “like”, “not agree very much”, or “oppose”. This is a form of vote. The software can sort the questions – putting the most popular first. So, within 2 or 3 days, more than 1,000 questions had been put forth. And nearly 10,000 people voted. Of course, the site was soon closed by the Chinese Government. Even so – we’d already gotten so many questions and votes. This is the first installment of a larger ongoing research project. *Thubten Samphel is director of the Tibet Policy Institute, a research centre of the Central Tibetan Administration. Views expressed here do not necessarily reflect those of the TPI.